Soul and funk music pioneer Mr. James Brown was proud to call Augusta his home. He gave back to his community in many ways, including his annual Thanksgiving Turkey Giveaway and Christmas Toy Giveaway. Both traditions have continued after his passing in 2006 by The Brown Family Children Foundation. 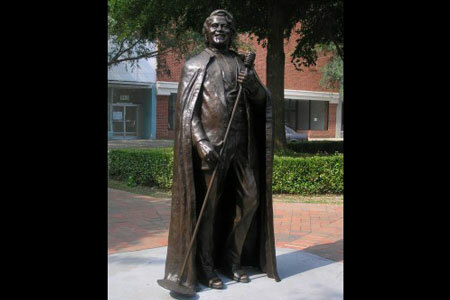 The life-size bronze statue of Mr. Brown in downtown Augusta contains the world's only James Brown CAM which will take your photo and send it to your cell phone within minutes.